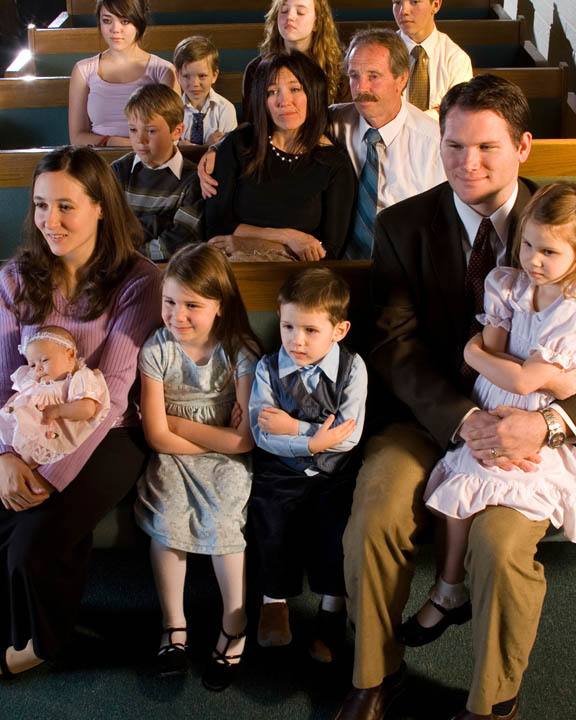 In the team’s study, recently published in the journal PLoS One, Mormon and non-Mormon subjects viewed head shots culled from personal ads posted all over the United States. All the photos were of eighteen- to thirty-year-old men and women, and their faces were free of adornments such as piercings or glasses. Rule notes that “nothing popped out and seemed obviously different.” Yet the subjects, Mormons and non-Mormons alike, were able to identify Mormons more accurately than by chance. Smiling. The woman at the ice cream shop smiled. The guides showing me round the university smiled. The student who handed me Mormon literature smiled. It was hard to imagine any of these clean-cut youths suddenly bursting into a bout of obscenities as they stubbed a toe or dropped a plate. The newsman called the students and staff “respectable and respectful throughout.” The campus was worlds away from the one he knew as a young man. When I read this, I hearkened back to the late 80’s when BYU built it’s Jerusalem Center for Near Eastern Studies on Mt. Scopus. In spite of signed affidavits to the point that no BYU student would answer a single question about his or her faith, lest it come off as proselytizing, there was still a problem. One Rabbi wondered if the only way to solve that problem was to have all the BYU students wear bags over their heads. The problem was “the glow.” It was attractive, magnetic almost, and a danger to young Israeli students at Hebrew University nearby. As we sojourned in Jerusalem for many years, we saw that the merchants knew instantly which tourists were Mormons. I once arranged to meet an American professor, George Pace, in downtown Jerusalem. I had only met him a couple of times. A brunette, he could surely melt into the Israeli crowd, and I imagined my embarrassment if I failed to recognize him. He was to wait on the corner of Ben Yehudah and Jaffa Roads. As I approached, I saw him, immediately identifiable by the sphere of light that surrounded him. I laughed. Why had I been worried? Yes, members of the Church of Jesus Christ are distinguishable by their glow. It may be partially attributable to their clean lifestyle, but there are many in the world at large who chose to live by the same health mantras that Latter-day Saints do. Joseph Smith, the first prophet of these modern times, went to Washington, D.C. in the late 1830’s to seek redress for the persecution of the Latter-day Saints in Missouri. Joseph Smith and Elias Higbee wrote to Hyrum Smith: “In our interview with the President [of the United States], he interrogated us wherein we differed in our religion from the other religions of the day. Brother Joseph said we differed in mode of baptism, and the gift of the Holy Ghost by the laying on of hands. We considered that all other considerations were contained in the gift of the Holy Ghost” (Teachings of Presidents of the Church: Joseph Smith , 97). That which is of God is light; and he that receiveth light, and continueth in God, receiveth more light; and that light groweth brighter and brighter until the perfect day (D&C 50:24). I recently made a flight from Los Angeles to Salt Lake City. I knew at least a few of the passengers had to be Mormon. I played the game of trying to identify them by their glow, and I think I did pretty well. But I have met a few Mormons who could actually light up a room . A couple in my Utah congregation recently returned from serving as presidents of the Provo Utah Missionary Training Center. They glowed vividly, even when surrounded by other Mormons. It is our focus on the Savior that lights up members of The Church of Jesus Christ of Latter-day Saints. And if your eye be single to my glory, your whole bodies shall be filled with light, and there shall be no darkness in you; and that body which is filled with light comprehendeth all things (D&C 88:67).